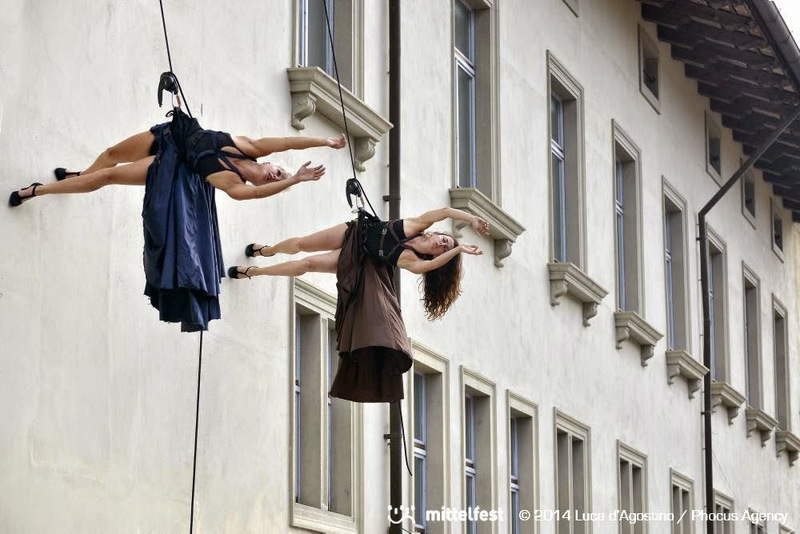 THE WORKSHOP WILL INTRODUCE SUSPENSION AND VERTICAL DANCE TECNIQUE; THE EXPLORATION OF THE EXPRESSIVE POTENTIAL OF VERTICAL SURFACES AND PROPER USE AND SAFETY OF ASCENT AND DESCENT DEVICES, WILL PROVIDE A BASIC KNOWLEDGE AND UNDERSTANDING OF CHOREOGRAPHIC PRACTICES AND PRINCIPLES REGARDING PERFORMANCE OF VERTICAL DANCE. (SOME DANCE EXPERIENCE REQUIRED, THOUGH PREVIOUS AERIAL TRAINING IS NOT NECESSARY). THE COURSE IS OPEN TO DANCERS, GYMNASTS AND PERFORMERS WITH A GOOD TECHNICAL LEVEL OF FITNESS. ALL GEAR WILL BE SUPPLIED.